Please note these bookings are separate. You also need to book your Hotel accommodation. Click on the Hilton logo below to book your room. 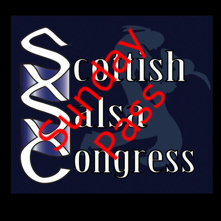 This year the team at the Scottish Salsa Congress worked a discount deal for you dancers with the Hilton Edinburgh Grosvenor Hotel, Book your room directly with Hilton with the promotional code: soon online. For as little as £ 43.50 per person per night for B&B based on two sharing a room.